The 2020 Festival will be held on February 15, 16, 17. Click here for the 2019 Bryce Canyon Winter Festival Schedule. Click here for the 2019 Bryce Canyon Winter Festival Activities Descriptions. Click here for the 2020 Ruby's Inn Winter Festival Photo Contest Information! Ski archery competition takes place on Sunday and the Cross Country ski races on Monday. If you would like to participate with us this year or would like more information, call: (435) 834-5341 or 1-866-866-6616. 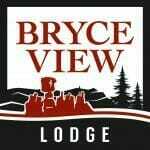 Or visit Bryce Canyon City's website! Click Here to view results from the 2019 Winter Festival X-C Ski Race. Click Here to view results from the 2019 Winter Festival Archery Biathlon. 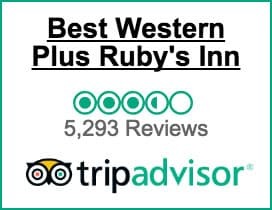 Still a great time come and enjoy Bryce Canyon while staying at Ruby's Inn. For reservations or an update on track conditions or for more information call Toll Free 1-866-866-6616. Click Here for more Area Activities!